The international summit returns to the UNESCO City of Film under the theme of Entertainment. 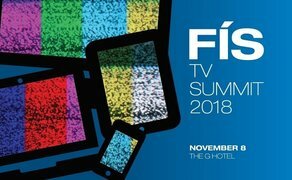 The FÍS TV Summit will take place in The G Hotel on Thursday 8th November, where Irish producers, directors, writers and content creators are also offered networking opportunities and one-to-one meetings throughout the day. Visit Galway Film Centre’s website for more information on the event or to purchase tickets.